A few months back, I received an email asking me to do a leadership book review. A free leadership book—and the only obligation on my part was a review it if I liked it. Since my wife thinks I have a budget line for books the size of our house payment, a free leadership book wasn’t a bad idea. The book arrives, and I find out it’s not one of those 100-page, delightful stories with a few “simple but powerful truths.” It’s single-spaced, meaty, and I figured out quickly it would take some time to work through it. I had several books ahead of it, so on the “to be read stack” it went. Heading out on a five-day anniversary trip with my wife, I went to the “to be read stack” and picked two, this one and one of those easy reads with a “simple but powerful truth,” just in case. By the time I got off the flight to our destination, I was hooked. This wasn’t a “Snickers that satisfies”; it was a large, ribeye steak, that had been finely aged and cooked to perfection. The introduction and first two chapters set the stage, then the quality of the content becomes self-evident. You can tell the two authors are both experienced and researched. At the end of each chapter, it contains a page or more of citations. The authors focused on five key categories of leadership. Within each category, they looked at two paradoxes, each containing two leadership styles. For example, the Leadership and Self section covered the authenticity and adjustment leadership styles, both different and opposites (hence the paradox.) So as a reader, you get four leaders styles in each of the five categories, two that will resonate with you and two that won’t. The further I got into the book, the more addicted I became. I usually gauge the quality of a book by the highlights and notes written in the margins. I wore out a box of pens reading this book. The book is consistently structured; each chapter, category, and style is laid out the same. They walk you through the main task and each of the styles, followed by qualities and pitfalls of each style. They then wrap up each chapter by helping to identify your leadership style. This structure makes reading the book a pleasure, keeping you on track and making the content easy to follow and simple to consume. One of my struggles with the book is that it did not have enough space in the margins for all the notes. There were several times I was confused by the title. 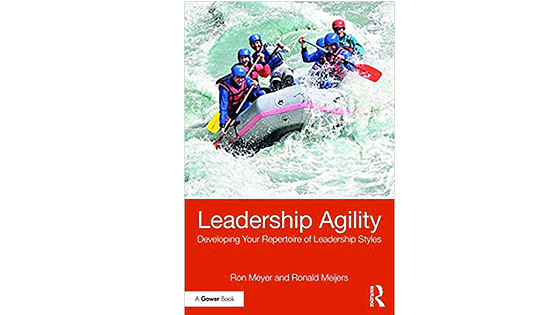 Why on earth did they name it Leadership Agility? The way the content is presented, it didn’t seem to jive with the idea of agility. But when I got to the end, it all made sense. They kept the best for last, and without spoiling the end of the book for you, the title is the grand finale. About three-fourths of the way through there is a circle diagram that is incredibly powerful. I would love to have seen it much sooner, yet it fits perfectly within the flow of the content. This isn’t a cheap book, but you will definitely get more out of it than you paid for. As one who wants to grow my leadership, Leadership Agility resonated with me. Reading through the twenty styles, it was amazing how accurate they were. Several times I wondered how on earth they nailed the styles so perfectly. I would definitely put this book in my top 20 leadership books every leader must read. Take the time to read the book; it is very foundational, well thought through, and contains solid leadership material. If you want to be a great leader and grow your leadership skills, you need to read this book.